An open-source library for displaying, running and exploring models in a web browser, with no reliance on plugins, desktop software to install or a specific web host. A free, web-based model editor focused on traditional stock and flow system dynamics modeling. Accessible from web browsers on desktop computers, laptops, tablets and even phones, with nothing to install to get started. 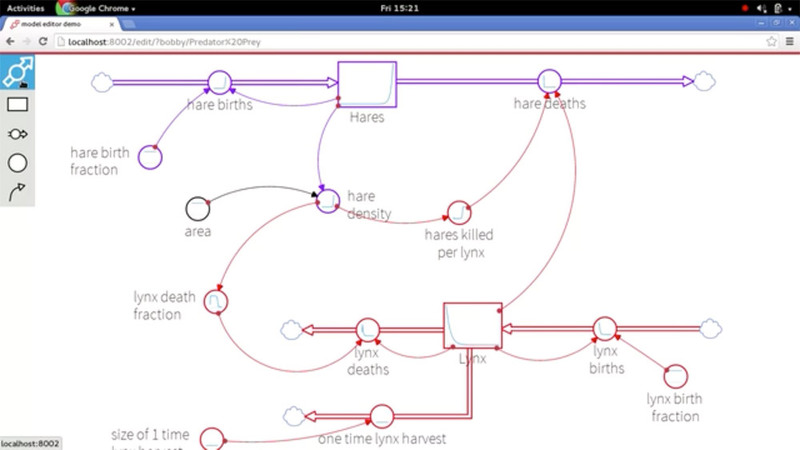 Currently the project can simulate System Dynamics XMILE models in Firefox, Chrome and Safari. Interested in funding the project, go to the Approachable System Dynamics’ Kickstarter page. Looking for SD software that works on a tablet? A System Dynamics iPad app is coming soon from the maker of STELLA and iThink. 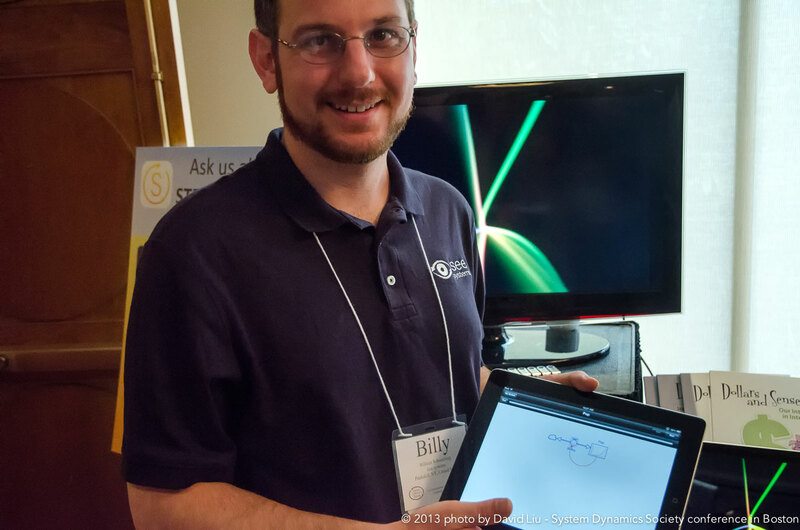 At the 2013 International System Dynamics Conference, isee systems previewed STELLA Modeler for iPad. The iOS app is designed to create and run STELLA and iThink models. You can both create and run SD model on an iPad. This System Dynamics iPad app will have cross-platform compatibility. Models created with STELLA Modeler for iPad can be transferred to and from PC or Mac as an email attachment. What about the release date? STELLA Modeler for iPad is currently set to go on sale around Halloween.